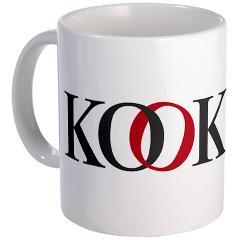 Be the first to get 15 questions correct to win a copy of Halfway Pleased and a Kook Coffee Mug from Curt’s Amazon shop. Submit answers to the message link on the Tears For Fears & Kooks page. You have until the end of the week to submit your answers. Best Wishes! 1. What Tears for Fears ablum just celebrated 30 years? 2. On what Television show is Curt Smith to appear very soon and what is the network that hosts it? 3. Tears for Fears hit a milestone in 2013, they are celebrating and connecting with fans. What new way to connect with fans was released on the 7th of March? 4. The ‘Travel Fan’ team also underwent some cool changes, name one. 5. What full length Tears For Fears video/concert was presented on The Reissue Theory’s most recent publication? 6. Curt kindly speaks often about his pups. What breed of dog are they? 7. What did Curt recently give a fellow band member for his 50th birthday? Who was this member? 8. With whom did Curt share the correct method for making tea back in October 2010 during a feature length interview that aired online? 9. Name 3 movies in which Curt Smith has been featured/played a role. 11. For what independent feature film did Curt Smith recently score? hint: Ricky from MySoCalledLife is in it. 12. In what flats did Curt live in for a period of time that inspired a song of the same name? 13. What is Longacre Hall? 14. What online music television show did fans wait up for hosted by Curt Smith in 2010? 15. In which Italian city does Curt hint his retirement may occur? 1a. What talented fan from the early years on KMKs tearsforfears.net board later appeared on stage and toured with the band singing backup? 2b. What does Curt mention he likes to eat on Friday nights? 3b. Fans often comment on Curt’s cool fashion sense. What brand of clothing is it that drives the fans wild? 4b. In what film does Curt Smith play the role of a University Professor? 5b. What type of carpet or rug is often shown in Curt’s pictures of their Shabby Road recording Studio? Posted on 10/03/2013 12/03/2013 by International Business and Cultural ExchangePosted in Tears for Fears Regional Fan Club News & Online FunTagged Curt Smith, Fan Clubs, Fan Fun Trivia Questions, Kooks, Mayfield, Music Trivia, Shabby Road, Tears For Fears Fan Fun. Previous Previous post: Happy Anniversary – The Hurting – 30yrs young!